Your transmission is the one part that transmits the power from your engine to your wheels. It is what moves you forwards or backwards. Now if you have an electric car or the new Koenigsegg Regera then you don’t have a transmission. Lucky you! Transmissions need regular maintenance. Mainly that consists of fluid changes and filter changes. 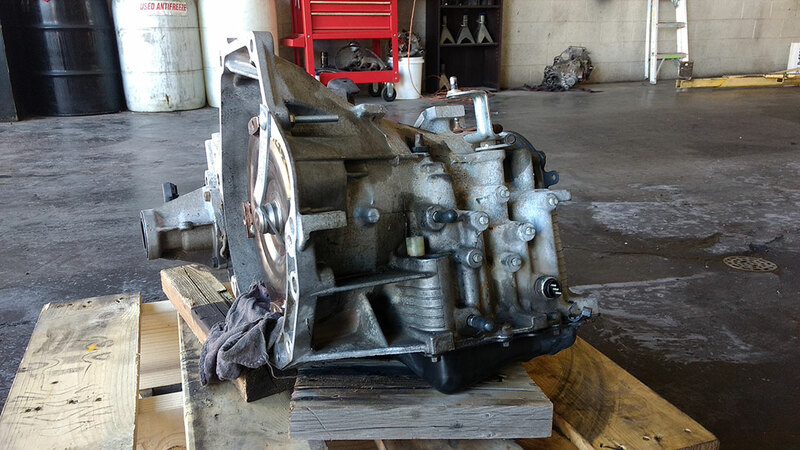 Automatic Transmission repair or Replacement can come in several forms. We can rebuild your transmission, use a low mileage used transmission, certified rebuilt transmission or a new one where available. Most people go with a low mileage used with good results. However a rebuilt one with a large warranty is always the next best thing. Manual Transmission repair or Replacement is far less common. 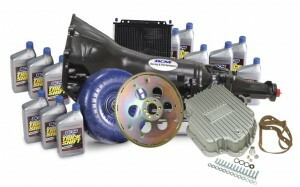 They typically are simpler than automatic transmissions and require less maintenance. The most common failure is the synchronizers which go out. When they fail it is hard to get it into gear. You have shift the old fashion way with double clutch and rev matching…what a pain! Easy way to combat this is regular fluid changes based on your service manual. 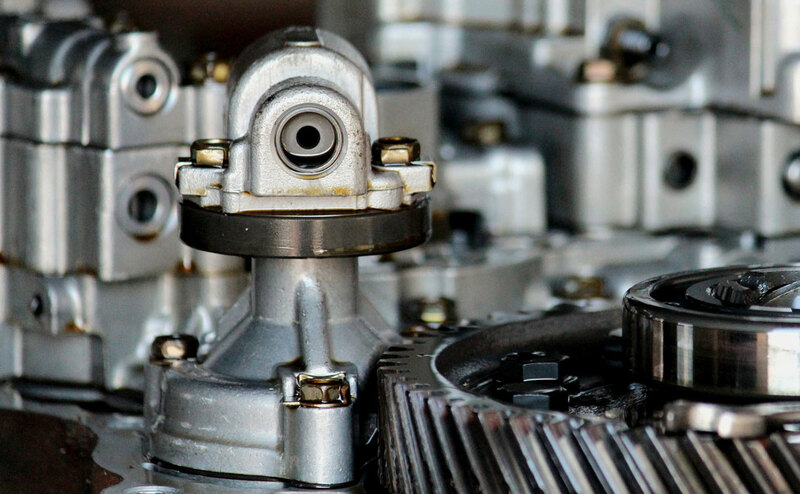 Torque Converters are essentially a fluid gear. It uses fluid friction to turn in essence. They rarely fail but when they do good luck moving. Here at I Work On Cars we are prepared to deal with any transmission situation. Call us and get a quote today! Axles come in a couple forms. They are rear wheel drive solid axes. They don’t really allow turning the wheels in this form and are most common in trucks. CV or Constant Velocity axles are used in most front wheel drive and all wheel drive vehicles. They allow the most movement and turning of the wheels while still being driven by the axles. A clicking noise upon turning can indicate a bad CV Axle. 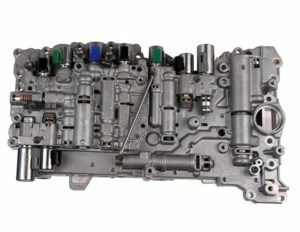 Valve body is essentially the inner guts of an automatic transmission. It uses hydraulic pressure and various sensors to control your gear changes. If there is an issue here is most commonly due to poor maintenance of the transmission fluid. Clutch and Flywheel are used with manual transmissions. They come in several versions and performance options. You have a clutch disc sandwiched between the pressure plate and the flywheel. The Pressure plate does just that, it applies pressure to the disc keeping it engaged to the flywheel. I took my car here October 2017 for an oil change and rear brake service. After dropping my car off, they told me I still had about a year left on my brakes! I was so surprised and so thankful they were honest because money was tight. A year later I'm back to get a rear brake service along with another oil change. These guys are so awesome and so honest. If that wasn't good enough, their rates are unbeatable by far. I wouldn't take my cars anywhere else!! I have taken both my cars to I Work On Cars LLC. They have been honest and accommodating. I took my truck to them because another business told me I needed a lot of work done but when I took it to these guys they not only tested it but we're able to give us a great deal and we were told that the other work was not necessary. I feel comfortable and confident in their work and would recommend them for all your automotive needs. Best and most honest mechanic ever. I would send my Grandma to Dan and he would treat Her as his. And by the way I recommend Dan to all my Family and friends. My Dad, my Daughter, my Son and a handful of friends use gis services. I love this place! Small shop, honest owner, great mechanic/technician. Super cool human. We have been taking our vehicles to I work on cars since we were referred by a friend three years ago. I had an issue with my check engine light and went in for a diagnostic. While that wasn't a major issue, Dan did discover my cv boot was leaking. Eric and Dan are amazing. Quick, honest and just good people. Finding a good mechanic isn't easy. Check them out. So glad I read reviews!